Why do we insist on pigeon holing cars into one category…? Why does the automotive industry insist on pigeon holing cars? Why does a four wheel drive have to be a four wheel drive? After all, you can buy high heeled Nike ‘runners’ and fridges that double as computers. So why can’t a car be more than one thing at the same time? 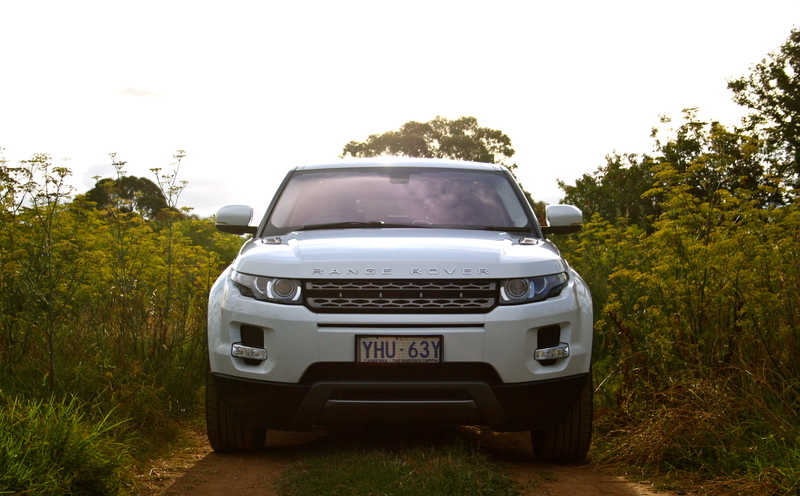 Range Rover’s Evoque is part hot hatch and part off roader, but does it do either of these things well? Short answer no. Longer answer, not really. BMW insists on selling the X6 and actually sell quite a lot of them, so the concept of a practically useless off road, four wheel drive obviously appeals to certain groups of people. 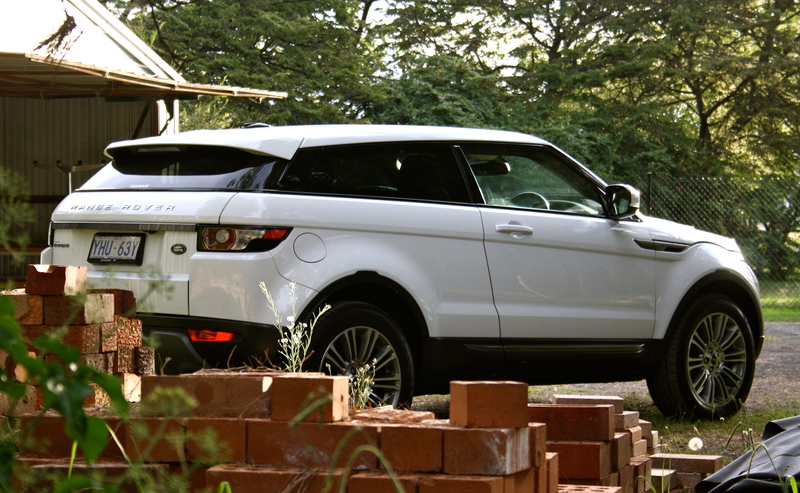 The Evoque is really just a more affordable X6. Impossible to see out of with big, wide, low profile tyres shod in road biased tyres and a plastic cover riddled under body that wouldn’t sustain a hit from an under 9’s soccer team; let alone an off road obstacle. So what’s the point you ask? Well to be honest, most four wheel drives aren’t driven off road anymore. About as off road as any Evoque’s ever been. The modern four wheel drive is more of a play thing. An ‘I’d take it off road if i felt like it, but I never will’ car. So why bother compromising the on road ability of something that’s going to spend its whole life on there anyway? That’s the general idea behind the Evoque; give people what they want even if that happens to be a car with design input by Vitoria Beckham. 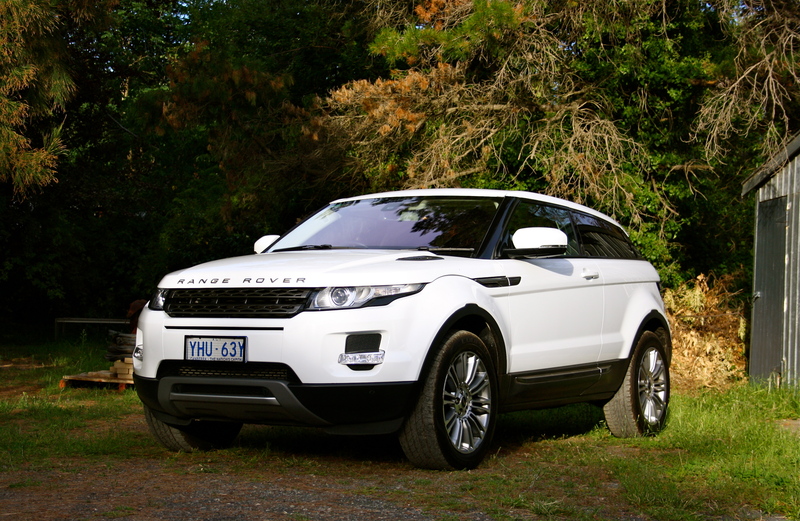 The car pictured is, in my personal opinion, the better looking of the Evoques. The three door version maintains the concept car looks better than the more practical five door, even if you do have to try and avoid hitting the car next to you with its impossible wide doors. Still looks fresh, four years on. That’s if you haven’t driven into anything first because you either A. couldn’t see past the massive a-pillars; B. were unable to see around the gigantic rear view mirrors or; C. didn’t realise the slit over your shoulder was actually the rear window. It’s not all doom and gloom with the Evoque however. The 2L turbocharged four-cylinder (the same unit that was fitted to all seven Ford Falcon Eco-Boosts sold) is peppy enough, but it’s tasked with lugging around a car that a weighs the best part of 1600kg. Fitted with a 6-speed automatic ‘box (no manual option here) its performance is best described as peppy and its engine noise best described as non-existent. No rorty intake noise and a disappointing lack of turbocharging theatrics. The 0-100km/h time comes up in around 8-seconds which is adequate for a ‘four wheel drive’. Classy, well appointed and impossible to see out of. 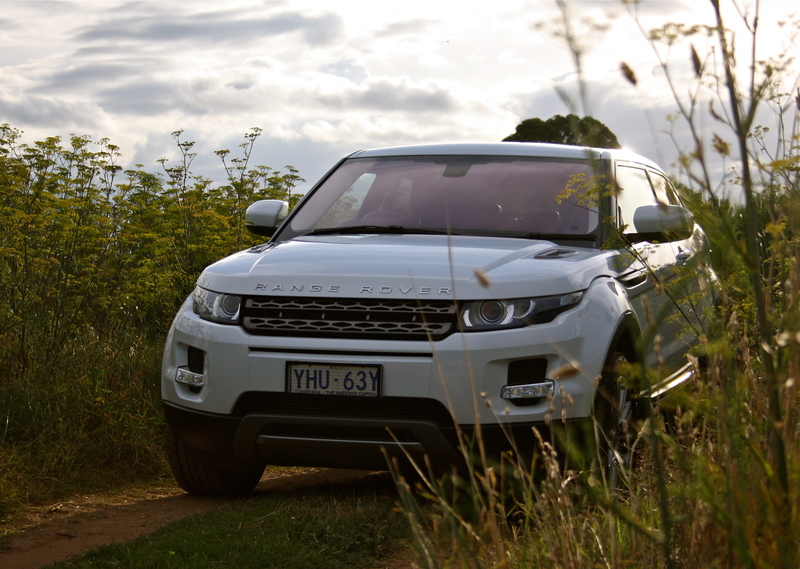 However it’s the handling that intrigues most about the Evoque. Sitting in its leather seats and flicking the left hand shift paddle down a few cogs coming into the first corner, I was surprised by the lack of body roll. The decent amount of grip I expected (19″ road orientated Continentals ensured that) but the flat cornering stance took me by surprise. I assumed the slightly jiggly low speed ride was more of a gimmick than an actual insight into the Evoque’s cornering prowess; but here’s a Range Rover that can almost be thrown around. Don’t get me wrong, the steering has almost no feel and it will push straight into understeer when you get going, but the fact that you can ‘get going’ is a small miracle for a brand that used to be better known for cars that could ford every stream, not hit every apex. Build it and they will come. 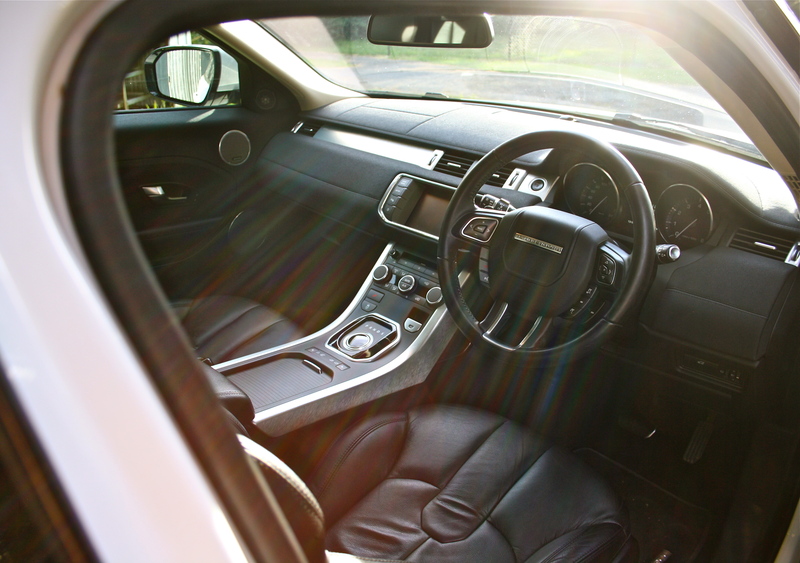 The proof’s in the Evoque. A restyle for the Evoque is set to be launched at this year’s Geneva auto show, but as you can see, the four year old design is still looking pretty fresh and still draws admiring looks from women in their late 20’s. While I’m not entirely sure on the entire concept of the Evoque I applaud Range Rover for executing it as well as they have. The ‘off roading’ I did in this car was less than minimal, but I don’t doubt it could do it and when you add in the fact that this car is actually fun to drive you start to realise the point. Sure the Evoque isn’t a good off roader, or a good hot hatch, but the fact it can dabble in both is pretty impressive and it’s definitely more useful than a pair of Nike high heels. 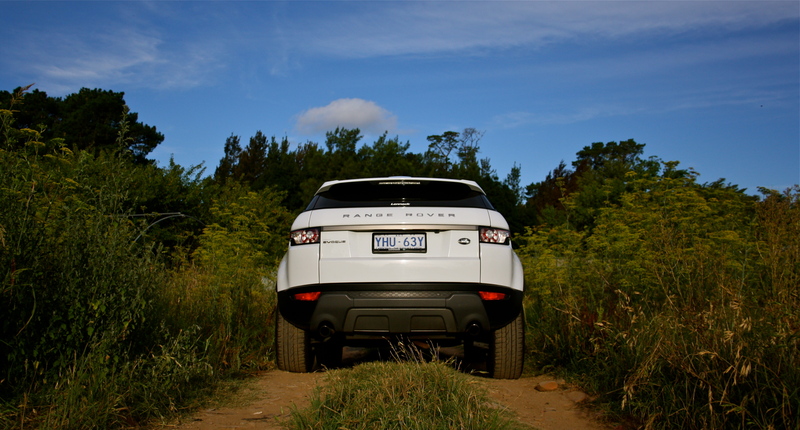 Interesting fact: the resale value of this Evoque dropped by 11% after it was driven on a dirt road.